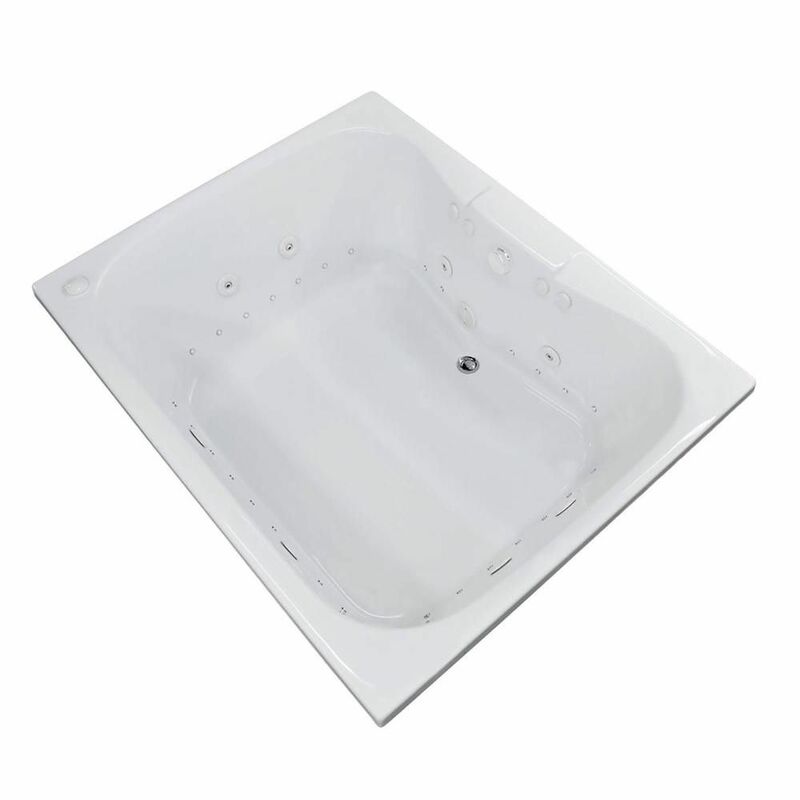 Rhode 5 ft. Acrylic Drop-in Right Drain Rectangular Whirlpool and Air Bathtub in White Rhode series is designed for bathers who enjoy the sauna pool feeling. The large 60-gallon capacity opening creates an even, rounded-corner bathing cradle. Classic bathtub design goes well with standard as well as modern, and contemporary. Rhode 5 ft. Acrylic Drop-in Right Drain Rectangular Whirlpool and Air Bathtub in White is rated 4.0 out of 5 by 1.